The praise team leads our 11:00 contemporary service with songs from current Christian artists such as Starfield, David Crowder, Chris Tomlin, Hillsong United, Paul Baloche and others. The current instrumentation includes drums, bass, acoustic and electric guitars, keyboards, violin and 3 singers. 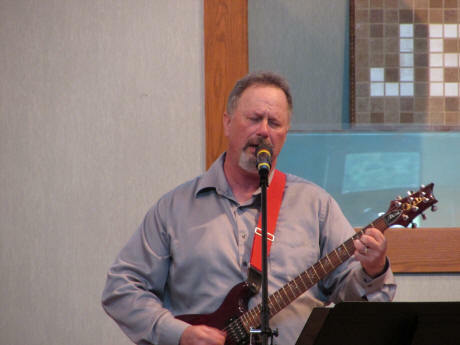 Pastor Bob is always looking for individuals that have a heart for leading worship and gifted in the area of music. Call Pastor Bob at 330.493.3222 if you are interested in participating in this ministry.